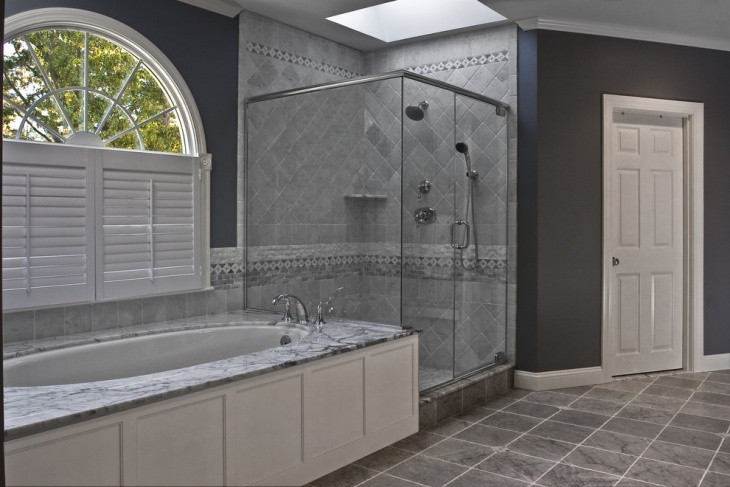 An alcove shower is a good option if you want to have that separate bathing space where you can do quick clean ups or rinsing after a luxurious soak in your tub. 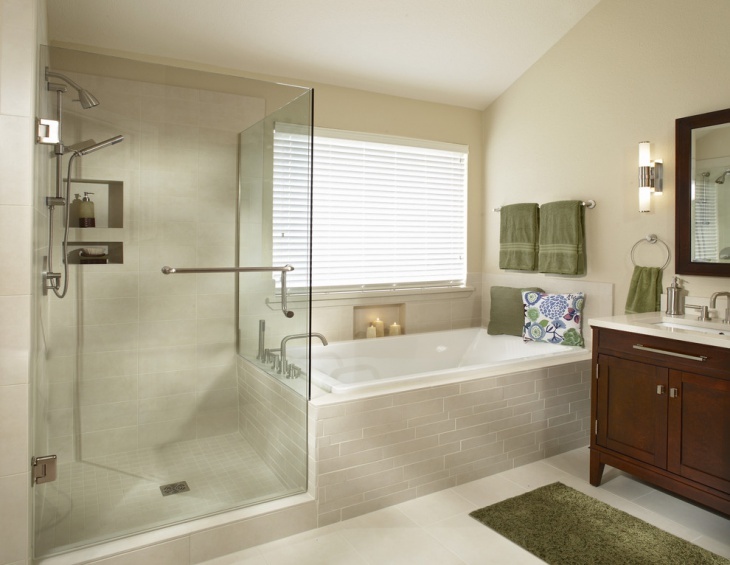 If you have a limited bathroom space, you can actually skip the tub space and just install an alcove shower. 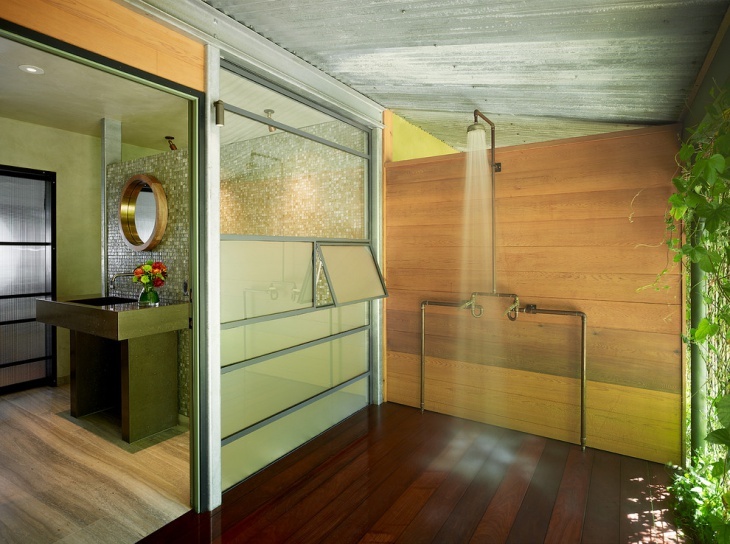 The following are some of the best alcove shower ideas. 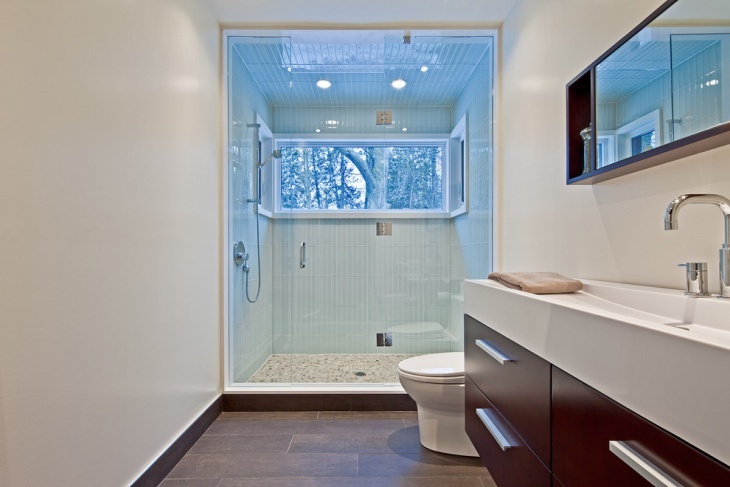 This alcove shower is the perfect example of shower enclosures with frameless glass shower doors. This feature allows a good flow of light into the shower area. The wooden flooring for the shower enclosure provides a beautiful contrast to the tile flooring of the rest of the bathroom. 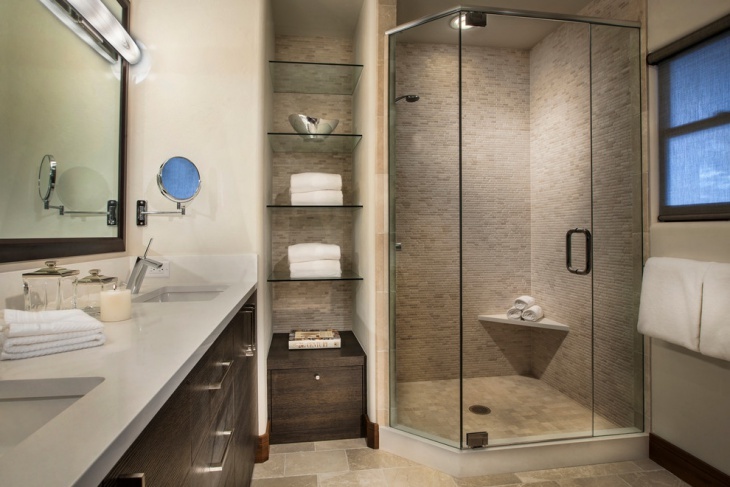 You can create a shower alcove designed as a walk-in closet, like the one shown in the picture. 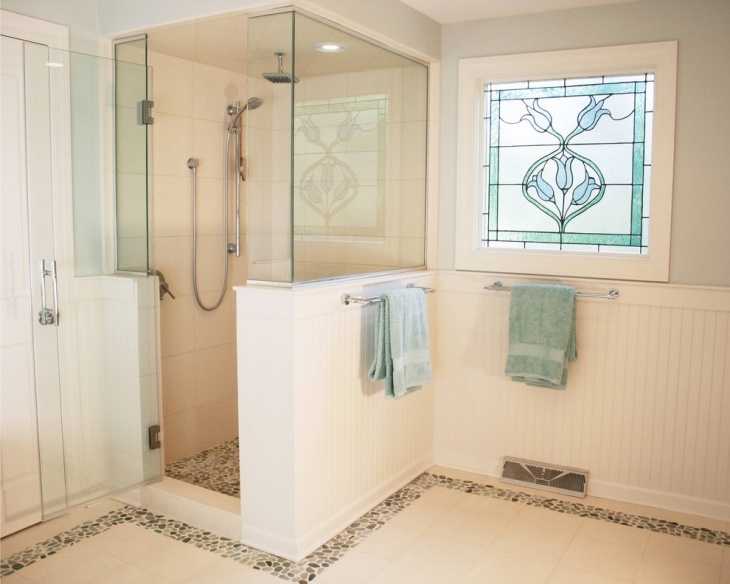 The shower area is actually a part of the built-in cabinet installed on one wall. This makes it a really space-saving feature. The glass door used for the shower alcove is a nice match to the dark colored wood door of the cabinet. 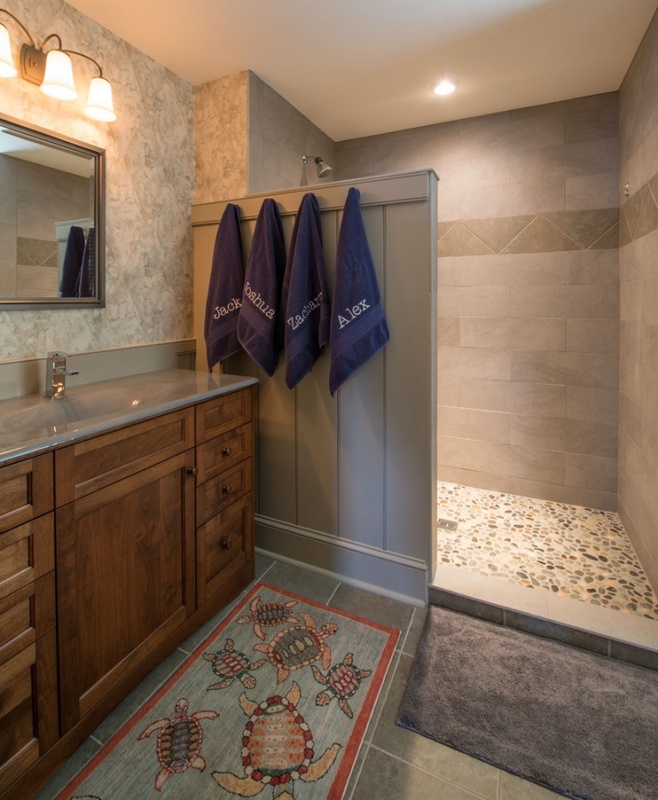 If you have limited space and you want a shower and tub combo, you should take a look at this alcove bathing space. This end part of this bathroom is turned into a really functional alcove tub/shower. 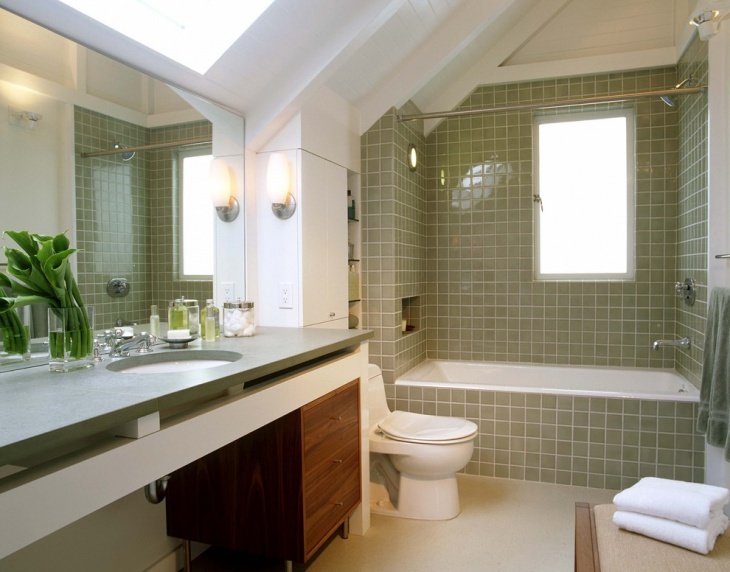 The rectangular tub has gray tile frame and the same tile is used for the walls – window, shower and soap dish walls. 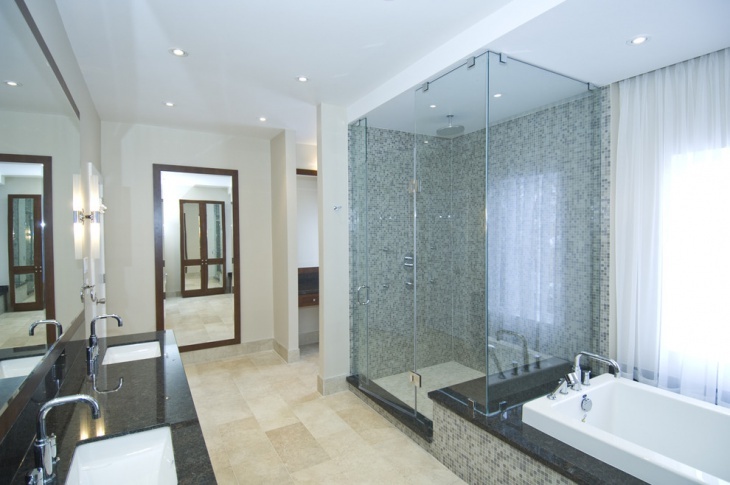 Installing a shower stall in one corner of your bathroom is one good way of having a nice alcove shower. 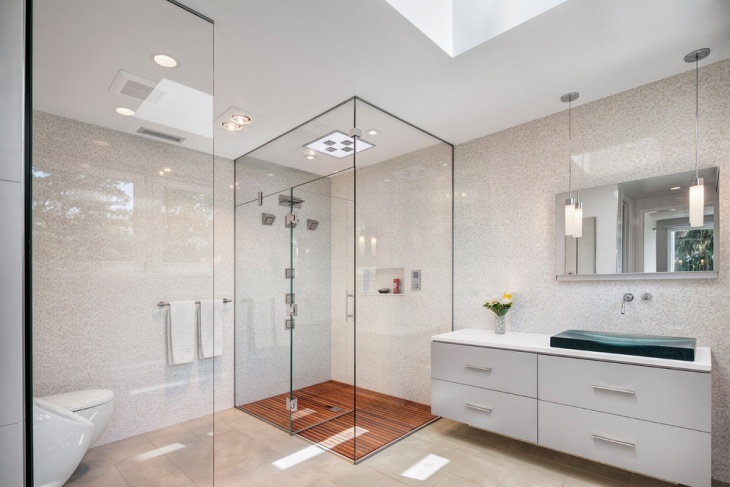 For this bathroom, the shower space is enclosed with a wall glass and door. The space is small, but serves it purpose well. 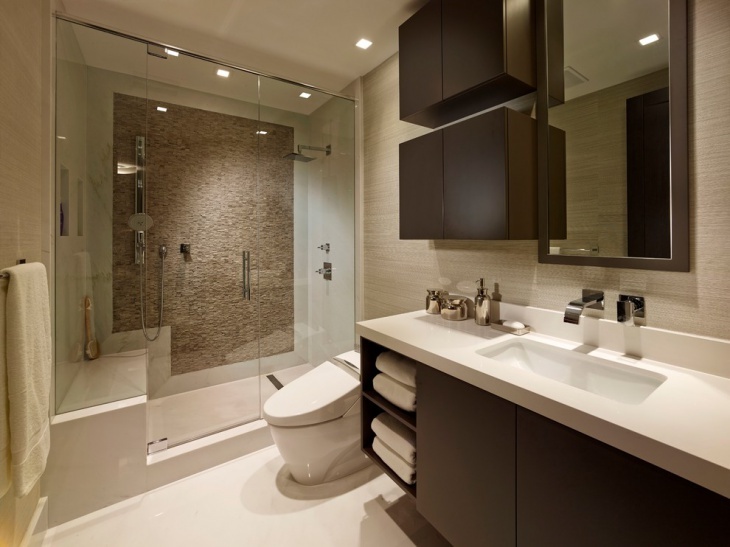 The stall is designed ideally to match the small sink and vanity set and the small seating space beside it. For a nice shower alcove base, tile flooring is a good idea. 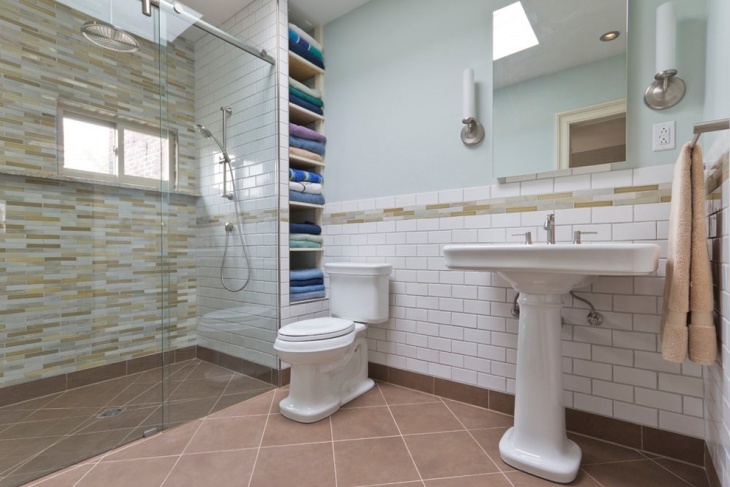 This small bathroom, for instance, has tile flooring of different sizes and designs. The flooring for the shower space has small tiles, while the rest of the room has bigger tiles. To match the floor tiles, the wall of the shower alcove has the same tile design as the main room floor. 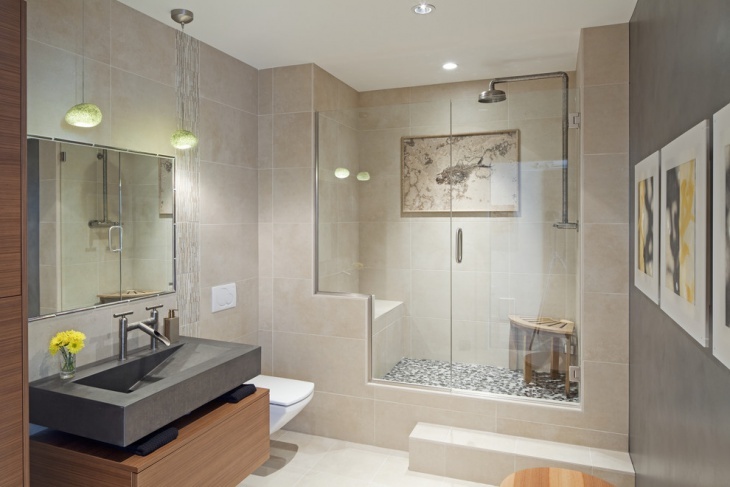 The open space plan design for this bathroom allows for an inclusion of an alcove shower. The dark wall used for the shower area is a nice contrast to the light colored granite base used for the floor and the wall panel – for the tub and shower side. 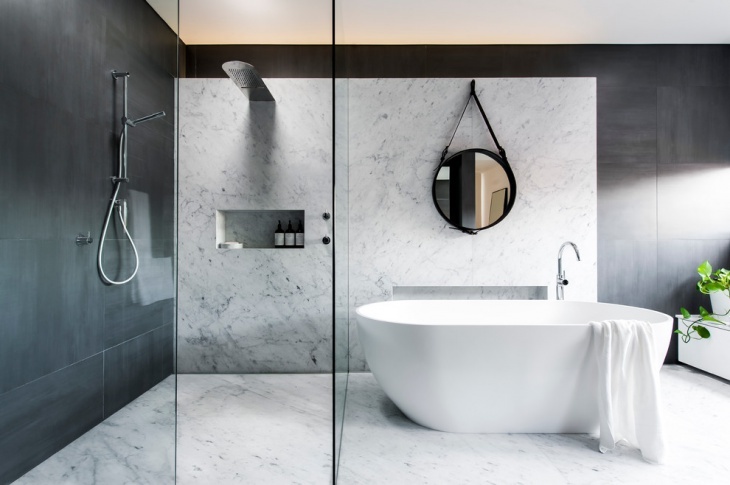 The black wall extends to the rest of the room and it creates a nice balance to the whiteness of the stand-alone tub. A space between the sink/vanity and the shower enclosure can be used for bathroom alcove shelves. This is a good way of making efficient use of a narrow space and for making sure that all bathing necessities are stored properly. This almost all-white bathroom has a nice alcove shower. The flooring is made of small green tiles, which provide a bit of color into the scheme. The cool shower faucet is a unique feature that goes well with the eclectic stand alone tub.